(Editor's note - The author of this article, Sean Rowe, is a novelist and former reporter for the Miami Herald. 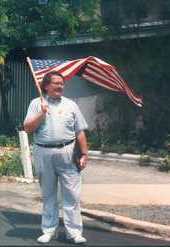 Sean was a close friend of Joe's and traveled with him to several continents during the 80's and 90's. 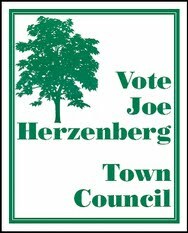 Orange County Commissioner and former mayor of Carrboro Mike Nelson convinced Joe to make one last run for the Town Council in 1987 and orchestrated a brilliant race as his campaign manager. 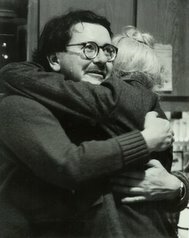 In 1995, Mike would himself become the first openly gay mayor in N.C. 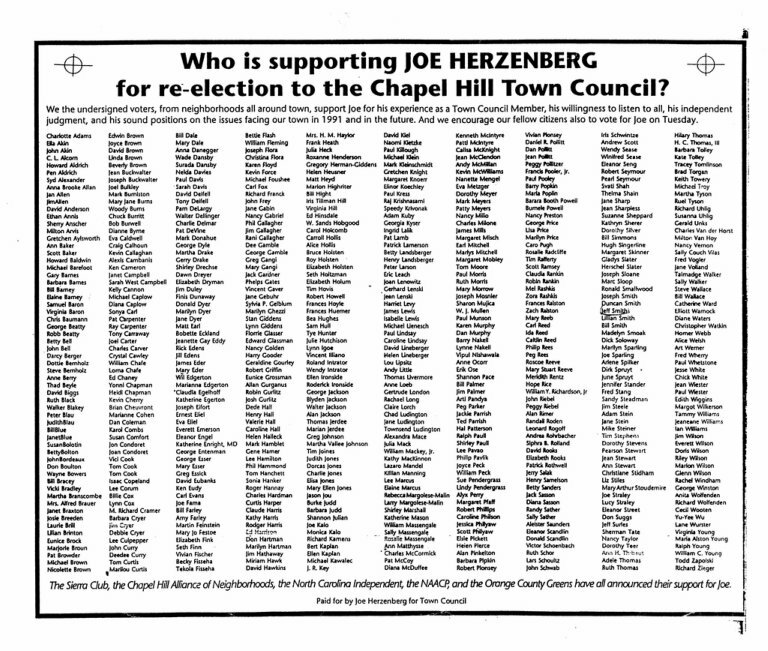 Interviewed by Joseph Mosnier in 1995, Joe recalled how "they had planned to turn any anti-gay attacks to their advantage in the race, believing that local voters would rally to support him if he was attacked for this reason." 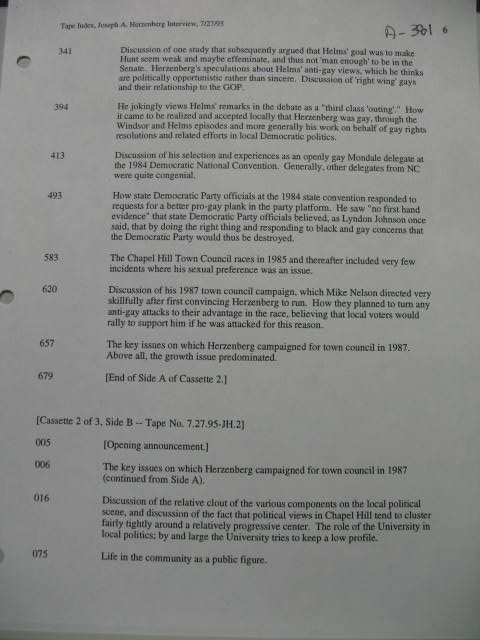 (Mosnier's words) This proved unneccesary, because Joe said from his '85 campaign on, he encountered very few incidents where his sexual preference was an issue in Chapel Hill.